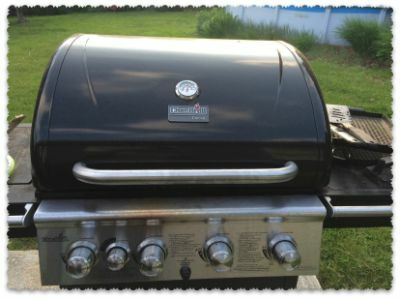 During this past Labor Day weekend, I needed to get some propane for our gas grill. Normally I would just go down to Monnick Supply and refill my tank but they were closed due to the holiday. So I had resort to using the tank exchange. Also, propane places will check your tank and can refuse service if it has expired. Whereas, in the tank exchange process, you'll never worry about old tanks. In Framingham, it cost $5 for the town to recycle old tanks. So back to my experience on getting new propane. I stopped by Lowe's in Framingham thinking that they might have a tank exchange. Their website wasn't really clear if they had any services. The garden cashier told me that they didn't have any propane tank exchange services. He then informed me of all the places that I could go; Home Depot in Natick, Stop and Shop in Framingham just to name a few. I asked him why they didn't and he told me because they were too close to the post office. That kind of surprised me. I didn't know that the post office had that much control in what the store next to it could sell. So there you go. If a Home Improvement store is next to a Post Office, you can bet that they won't have a propane tank exchange program. I ended up getting my tank exchanged at the Home Depot in Natick. The whole process was very quick. I hate to be the bearer of bad news, but that phone call that you had on the train - ya everyone else around you heard it too. We all know about the medical problems that your father had and we wish him the best in recovery. Yes, there is no privacy on the train. You are not sitting in a private car cabin - at least not on the MBTA. We are all pretending to not hear you talk on the phone. Yet we hold on to every word that you say - trying to make sense of the conversation that you are having. Whatever call you have to deal with, it can wait until you get off the train. Every passengers that travel the same route in the 60s, 70s and 80s had to do away with being out of touch on their commute. I am sure whatever issue that comes up, it can wait. If you do need to be on the phone, just keep in mind that everyone around you can hear what you are saying - so be careful of what you say. Try not to dish any dirty laundry. 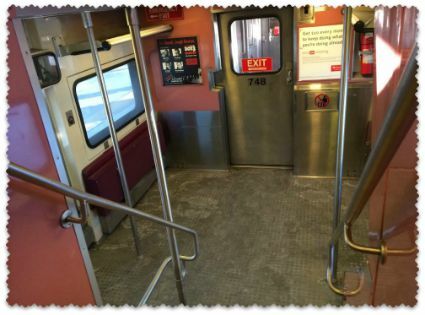 The MBTA commuter rail is looking to improve their image after the dabocile service this past winter. Here's one way they can make a difference without having to spend thousands of dollars and will make taking the train a bit easier for everyone. Every morning thousands of Massachusetts commuters, from Lowell to Providence, RI, line up to take the morning train to Boston. Everyone is playing the guessing game of, what's my commute going to be like today. Many of the commuters stand by the platform hoping that they are standing where they think the conductor opens the doors. Many riders are disappointed when the train arrives and finds out that their are only 2 conductors, or its a shorter train for their time, and people have to run to the nearest available door. I understand that it doesn't make sense to announce conductor train coverage over various social media channels since it may prevent people from seeing more important information. One way to solve this problem is to have a numerical indicator as the train arrives that the train only has 2 conductors, regular commuters can change where they are standing and move to the front or rear of the train. A more practical solution would be to put a 'star' indicator on the door window if that door will be open when the train stops. This also could serve as a benefit to those on the train that are looking to get off, they will know that it is an active door. There has been many times when I am standing by a door, and someone will ask if it's a door a conductor will open. I believe having a universal symbol letting people know which door will be open at stops, can make taking the commuter rail stress free. It should also help those that don't take the train everyday understand the process. 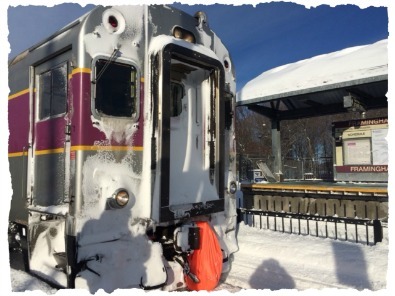 Every morning commuters get a fresh first impression of the MBTA commuter rail, it would be good if the MBTA did something to help start the day off right. Until then, we'll all just hope that we are standing in the right place. Recently we decided to go solar and have Solar panels install on the backside of our house. We signed a twenty year contract with Sungevity. We are still early in the process as we just had some come over the house and do some data gathering. What happens if we sell the house? Will we still have electricity during a power outage? Do we need to upgrade our electric box? How much out of pocket expense will this cost us? What about New England winters? Things like ice jams and raking the roof? What happens with advancement of technology? Can we upgrade the solar panels? What if we had a sudden change in electrical consumption, such as a long hot summer or we install a pool/sauna? What happens if we need a new roof? I decided not to post the answers that Sungivity gave us during the initial interview since could change their answer over time. How quickly people forget the transportation disaster of the 2015 Winter. Here are a couple of quotes regarding the MBTA purchasing additional rail real estate. ?Why is the MBTA purchasing rail beds when it has issues with its preventive maintenance program on existing tracks?? Charlie Baker asked. ?From where I sit, I think it?s pretty clear we should be making the investments in existing tracks and not buying new tracks.? ?Given the current $768 million deficit and the challenges experienced by the MBTA, Governor Baker wants to work with Secretary Pollack and the MBTA to address the current maintenance issues causing unreliable service and find a solution to restore operations for commuters that depend on the T to get to work or school before dedicating resources to a new rail project,? spokeswoman Elizabeth Guyton said. Today, the Massachusetts Department of Transportation announced it had completed the acquisition of the Framingham Secondary Rail Line, a 21-mile segment of rail that connects Framingham and Mansfield. The line was purchased from CSX Corporation for $23 million. "After careful consideration of the agreement to purchase the Framingham Secondary Rail Line from CSX, MassDOT concluded that acquiring this rail asset supports our goals of increasing use of freight rail, which takes trucks off our highways and reduces greenhouse gases by consolidating the movement of freight," said MassDOT Secretary and CEO Stephanie Pollack. The MBTA must have considered that $1 million a mile was not going to distrupt existing maintenance issues related to last years winter storm. If you have Celiac Disease, just let them know and they will go the extra mile to make sure their is no cross contamination. Your pizza is cooked on a special foil to make sure that there's no cross contamination in the oven. Framingham Subway & Pizza makes great pizza and it's nice to see that they bring their cooking specialty to customers who have to eat Gluten-free. Try the Pepperoni pizza - it's really good. When you go, park in the back of the building. It can be tricky to pull out of the front parking spaces because of the proximity to the street. The The Sub-Way & Pizza is located on 510 Union Ave, Framingham, MA 01702. Place your order by calling them at (508) 879-8818 (508) 879-8818. Filed under the "Framingham" and "Gluten Free" categories. [Permalink] - Comments are welcome on this post! It appears to me that Framingham DPW is sending out a hidden message. Late last year the DPW put in a new access road from the MBTA parking lot to Pearl Street. This made it easier for train commuters to avoid the downtown traffic. On the new walkway from the MBTA Parking lot to the Pearl Street exit is a painted line to separate the one way exit and where pedestrians should walk. What's really strange is the walking symbol that is painted on the pavement. It appears that the person is a little chubby. 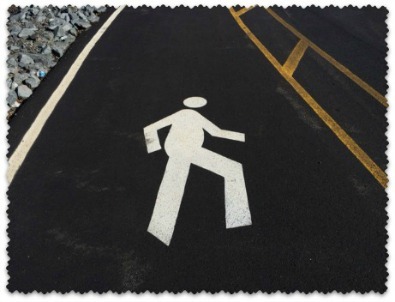 There are 3 painted walking symbols on the pavements and they all have the same look. 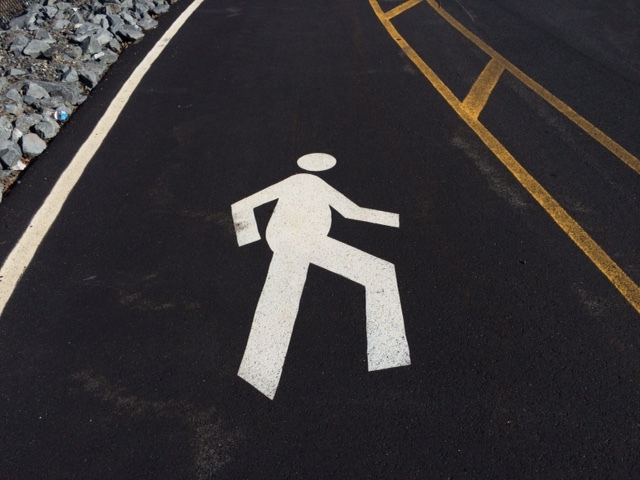 Could this be a new nationwide symbol or the Framingham DPW playing a trick on those that walking the path? Take a look at the picture with today's Blog post. What do you think? Does the person look a bit chubby in the midsection? Think this picture is Photoshop? Go to the Framingham MBTA parking lot and check yourself! Google+ Photo's "Auto Awesome" feature did a phenomenal job stitching some photos that I took of Randy Giveans as he was running the 2015 Boston Marathon. This was taken near the 5 mile mark in Framingham near the La Cantina resturant. Be sure to check out all the cool things you can do with Google Photos. In February when I was busy cleaning snow off the roof, I took my camera and took some pictures of the backyard. Thanks to the "Auto Awesome" feature of Google+, it automatically joined several pictures to create a panoramic view. Google+ Photo feature is very cool, check it out! I would highly recommend to use it to backup all the images on your computer. Every once in a while a picture or pictures will be selected and given some cool "Auto Awesome" effect. Some effects that you may encounter: Motion, Mix, Panoramic photo, Snow, Eraser, HDR, and Smile. Google has a "Google+ Auto Backup" software that you can download that will upload all your images into Google Photos. Good news for Macintosh users, that the software will backup your photos in iPhoto! You can select what folders to backup. If you don't want to use up any of your Google Drive Storage make sure to select the Standard size. The standard size converts all large images to 2048px, which still is a good size for most anything your doing online. Besides, having a 2048px backup version of an image is better than not having a backup. There is something going on in the train yard near the Framingham MBTA station. For some reason, CSX needed to have some of the area plowed in February. There has been mobile units on the site since the September. Recently, the MBTA awarded an ?Early Action? rail de-stressing contract for 7.5 miles on the Worcester/Framingham line, and work is scheduled to start at the end of July 2014. However, the heat restrictions will likely stay in place during warm temperatures. The MBTA is also in process of procuring 80,000 linear feet of rail and will begin work to replace the rest of the old on the Worcester/Framingham line starting next April 2015. De-stressing section of the line will then continue through the 2016 construction season. When that work is complete, Worcester/Framingham passengers will hopefully be freed from heat-related delays.